Duane Murray is a Toronto-based writer, director and actor. As an actor he has accumulated over 45 produced credits. As a writer/director Duane has produced 4 nationally released films as well as acting as story consulted on several wide-release studio features. Duane is currently in development with Telefilm on his next feature film project, and is in the process of adapting two published graphic novels to film. This is Duane’s second time serving on the Joe Shuster Awards jury. As a jury member on both the Art and Story Juries, Duane was called upon to present the award for Outstanding Webcomics Creator / Creative Team. The beautiful thing about webcomics is that they allow any one of us to be able to put their story out into the world without the hindrance of any editing or publishing stoppages. The bad thing about web comics is that it allows any one of us to put any thing out there into the world without any sort of editorial influence! But we aren’t going to talk about that. No, we’re talking about people who used the medium to convey their creativity and excellent sequential storytelling abilities to a new and global market of appreciative readers. The eight nominated creators / creative teams encompass a pretty broad spectrum of styles. Some are gag cartoons, some are long running soap operas, some are psychological dramas, some are romances, some are fantasy and adventure stories, and some transcend description – like the strip done by this year’s Joe Shuster Award winner. Now, our winner – his stuff is amazing. While all the nominees were very good, when I looked at the winner’s stuff, I thought to myself, “Well, this should be printed!” and it turned out, it just was! 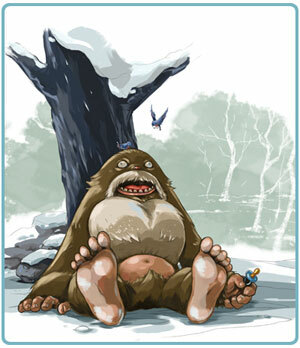 Our winner for Outstanding Web Comics is Karl Kerschl for The Abominable Charles Christopher. Karl’s work is top notch and it demonstrates his love for story-telling. He is a poet. He is playful, sorrowful – his stories are heart wrenching and can make you laugh at the same time. 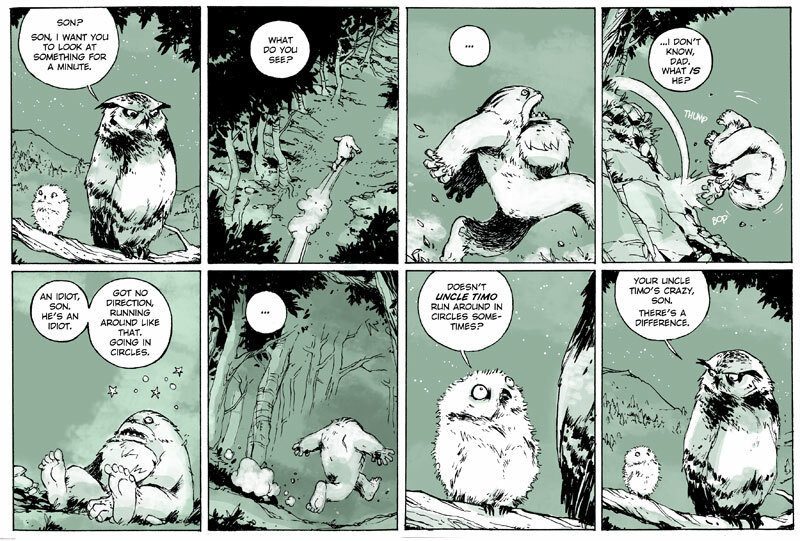 Karl Kerschl has been drawing comics professionally for 14 years. He has worked on Superman, The Flash, Robin and the Teen Titans, among other heroic things, and self-published a graphic novella for the band Ragni which he wrote and drew. He is currently producing his own weekly webcomic called The Abominable Charles Christopher and writing an original graphic novel about ghosts on Canada’s east coast. He lives in Montréal with two cats, both of whom are French-Canadian. This entry was posted in General Announcements, Webcomic by Kevin A. Boyd. Bookmark the permalink.